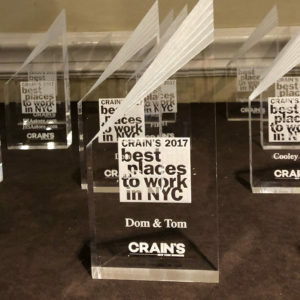 Crain’s New York Business has identified Dom & Tom as one of New York City’s Best Places to Work. With only 100 businesses included on the 2017 list, Dom & Tom is proud to join the ranks of other businesses hailing from a range of industries, including accounting, advertising, construction, engineering, finance, law and real estate. While tech companies represent about one-third of this year’s Best Places entries, the roster of winners mirrors the city’s diverse economic landscape. Dedicate to identifying and recognizing New York City’s best employers, the survey and recognition program is in its 10th year of publication. 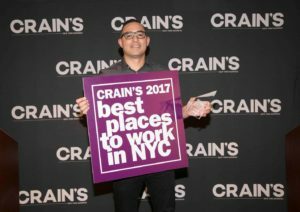 To be eligible for the Crain’s ranking, businesses must employ 25 or more workers within the five boroughs. To assemble the data, Best Companies, the independent research firm that manages the surveys and results for Crain’s dispatched surveys to more than 23,000 city employees. Each worker answered a confidential 86-question survey, and the scores were combined with results from a separate 78-question survey completed by employers. The questions focused on everything from working conditions to internal communications. Results from the employee survey made up 75% of the total score; the answers from employers constituted 25%. For its first year on the list, Dom & Tom landed at the 74th spot amongst other companies including the winner for the 2nd year in a row, Transwestern, a full-service commercial real estate firm, our friends at mParticle, a customer data platform, and DoSomething.org, a global non-profit organization. Hailing from diverse fields these organizations share a commitment to making their workplaces welcoming, stimulating and fun for their employees through programs and initiatives that support, inspire and empower them. A luncheon honoring the top 100 companies was held on Friday, Dec. 1st, 2017 where we were presented with an award. Also included at the event was a special recognition for the Crain’s “Best Idea” contest where we were named as a finalist for our presentation of the best initiative with a co-worker focus. The goal was to share best ideas with the business community to inspire other companies that often grapple with sensitive and pressing issues. Our “Do Good. Be Good. Award” initiative was a finalist in the contest and recognized for its supportive, caring, and fun way for employees to reach out to one another. The Do Good. Be Good. award was started as a version of an employee of the month recognition and aimed to recognize the hard work and dedication an employee puts forth. Each month two employees get to nominate another two employees for the award. The two winners are announced at our company-wide monthly town hall meeting and receive a silly and fun trophy which the winner gets to keep for a month. In addition to the trophy, a $100 donation to the winner’s charity of choice is given from the company in the winning employees’ name. 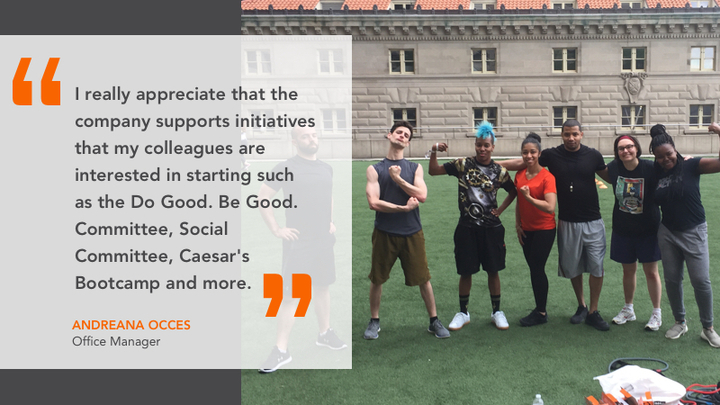 All companies on the Crain’s 2017 Best Places to Work list are tied together by a common value – they spare no effort to create a supportive, collegial and empowering workplace. 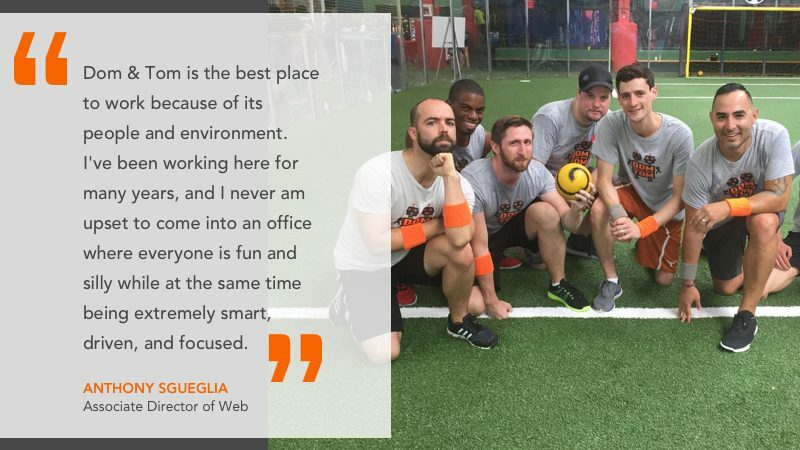 Dom & Tom is no exception and proudly offers generous health benefits, a flexible work from home policy, an unlimited vacation policy, and an abundance of non-work special events to allow our employees to bond and feel the camaraderie. 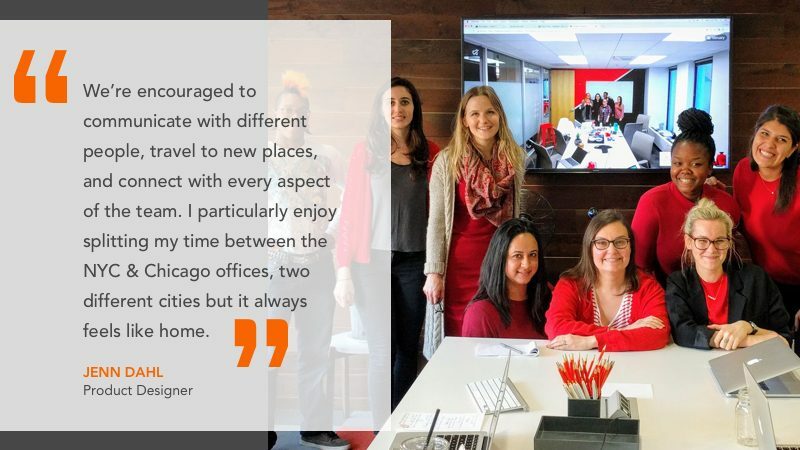 With our forward-thinking and inclusive nature, we promise to continue to offer a supportive and exciting company culture not only at our New York headquarters but at our ever-expanding offices in Chicago and Los Angeles. For more information about our awesome company, contact us today!